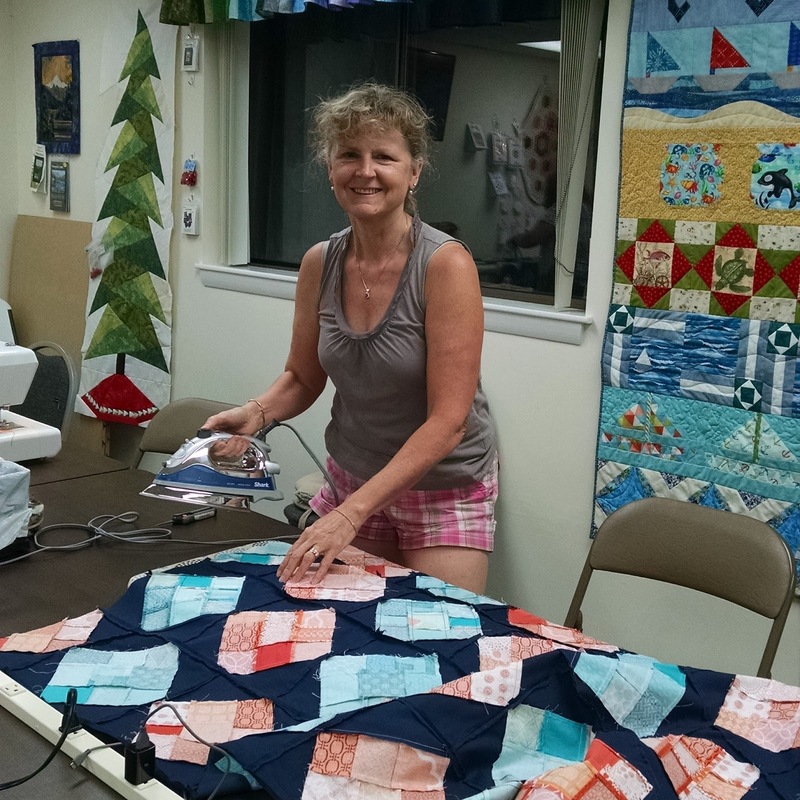 **The NHMQG has been busy making charity quilts for several organizations. 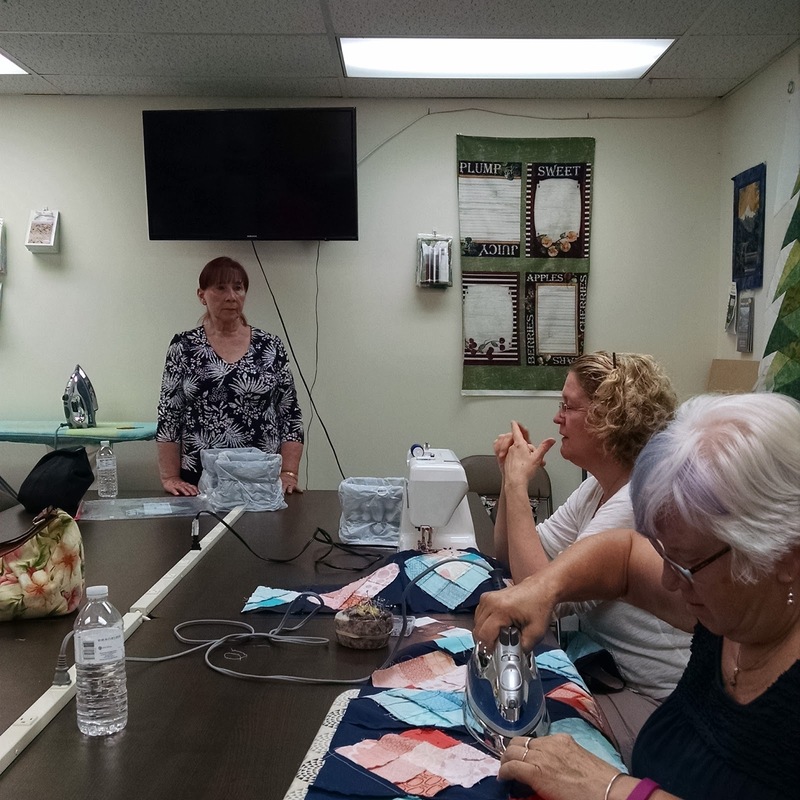 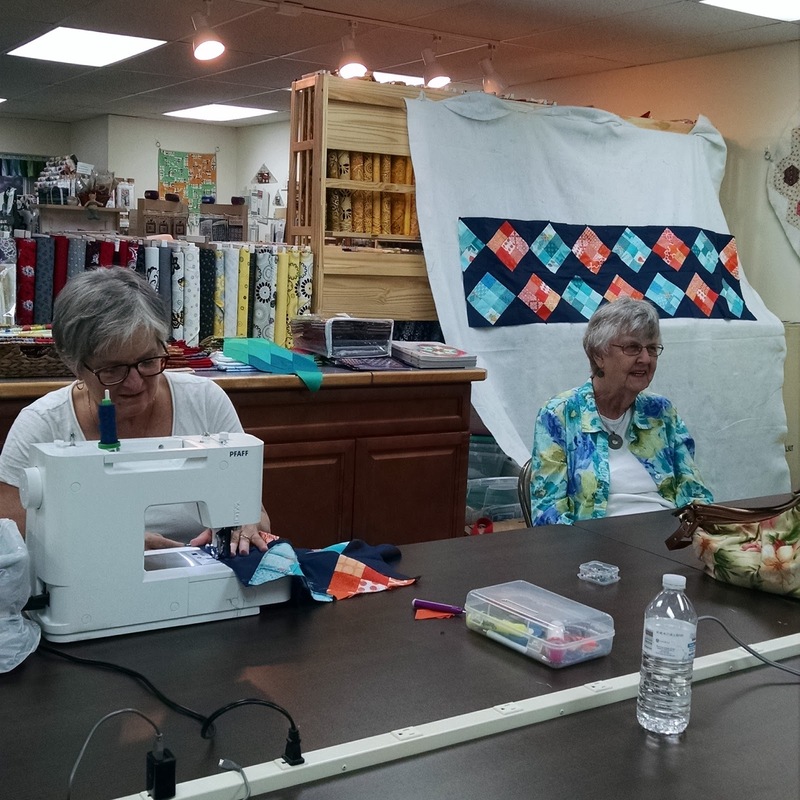 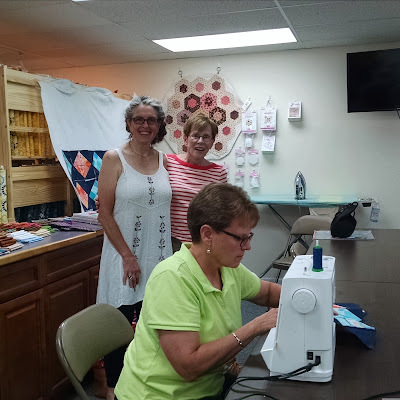 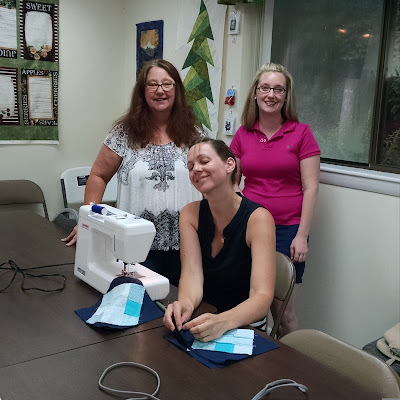 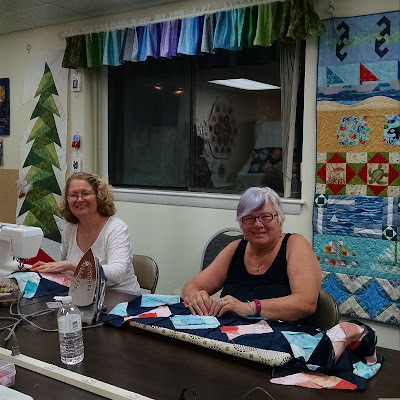 The charity coordinators put together a sew-in at Quilting A Way in Amherst. Bette was gracious enough to let us use her shop to put the top together. 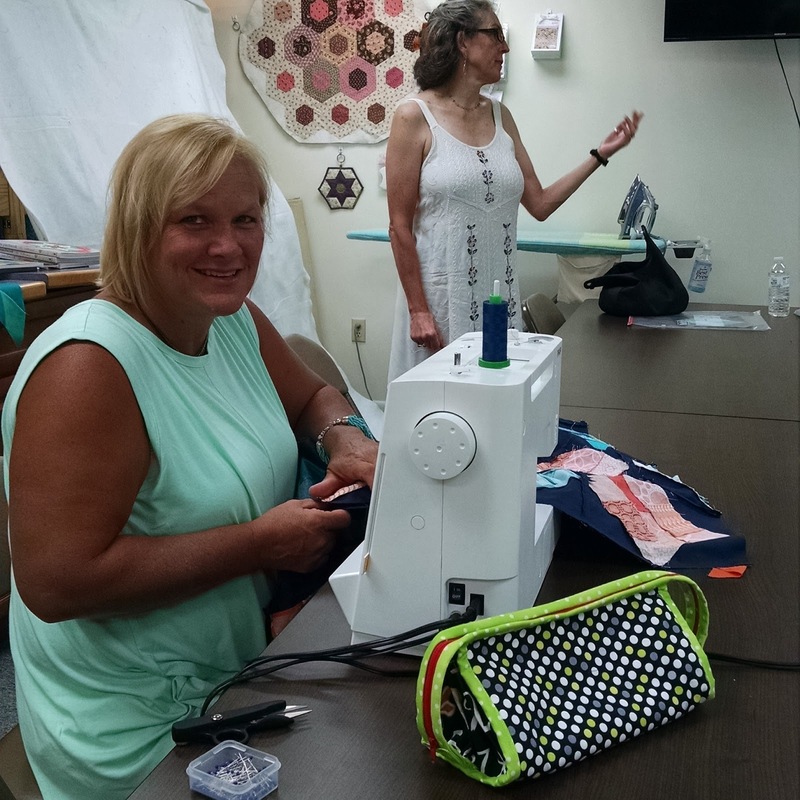 Thank you Bette!